The 52 participants in the Eastpointe New Year, New You contest are well on their way to great things…..including a shot at the $4,000 grand prize. Participants are reaping the benefits of exercise and great nutrition; including energy, fat loss and increased muscle but the best part is that they are transforming bodies and lives! New Year, New You is a team-based program with exercise and nutrition programming grounded in the latest scientific research on what works best to support fat loss! Team members attended a kickoff workshop and nutrition meetings to learn how to achieve the most effective results. Teams were finalized and all participants are competitively working on their fat loss resolutions. Participants have the added benefit of ongoing coaching, information forums, and weekly motivational emails; all offered to provide the critical support proven to increase success rates. The program began on January 21st. The contestants are working hard to achieve their goals and the first round of weigh-ins are scheduled for Feb 9th! Last year’s challenge posted a motivating fat loss of over 369 lbs in 6 weeks. That makes for a true body transformation. Let’s see how this year’s group stacks up! Participants will do final weigh-ins leading up to the last day of the program which is March 3rd. The winning team will be announced at the New Year, New You Finale Party on March 5th.  Eastpointe Health & Fitness will celebrate everyone’s success and write four checks for $1,000 to the winners! Good luck to all 52 participants! Our next all-inclusive body transformation contest will begin in April! Look for details in the March newsletter. Interested in hearing more about our programs? Click here to set up a Strategy Session to discuss your goals and how we can make them a reality!